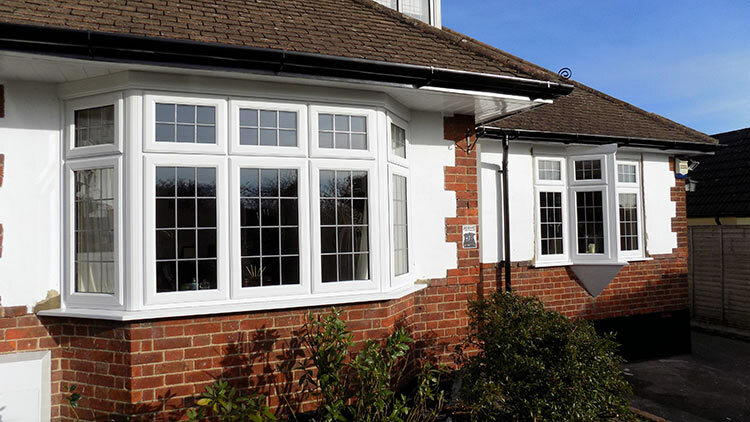 Enfield windows most recent installation took place in Cuffley, Hertfordshire. 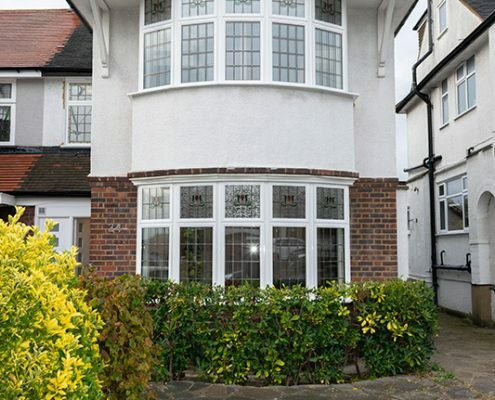 We were recommended to the client by the local estate agents, James Haywards, who are one of Enfield’s leading and most respected agents. 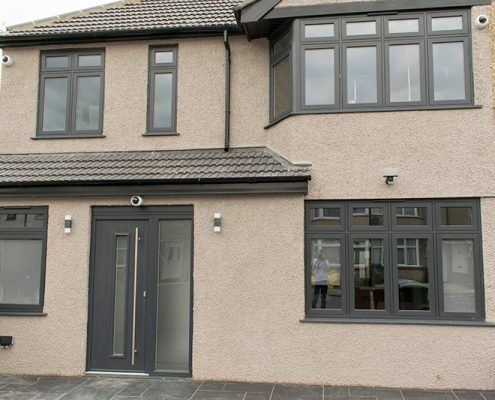 The client had recently moved into a property and wanted to replace the old timber and aluminium window frames and front door with new UPVC material and give the facade a complete makeover. 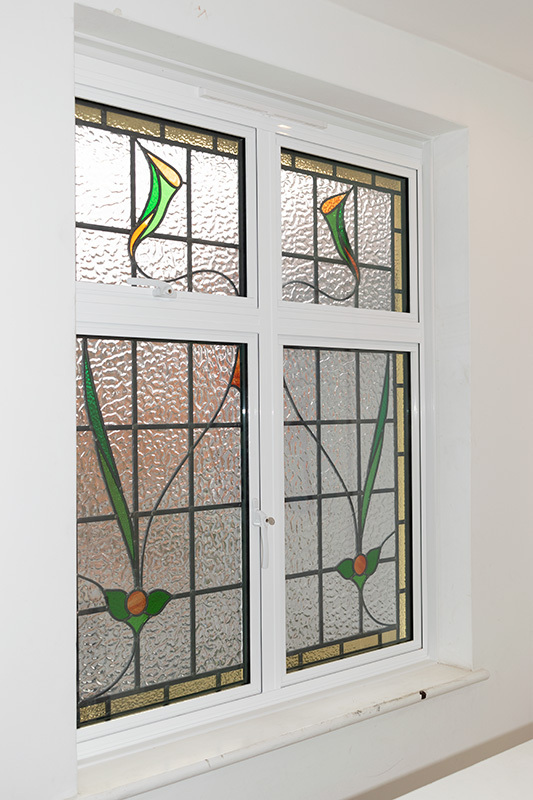 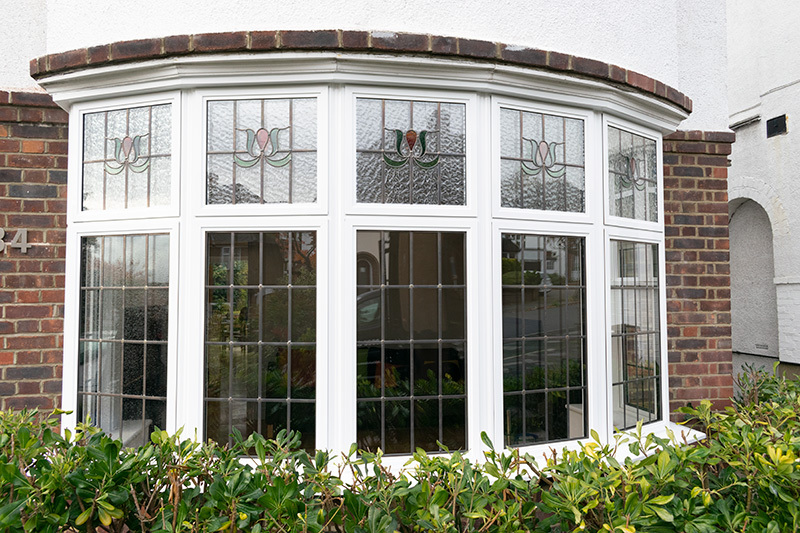 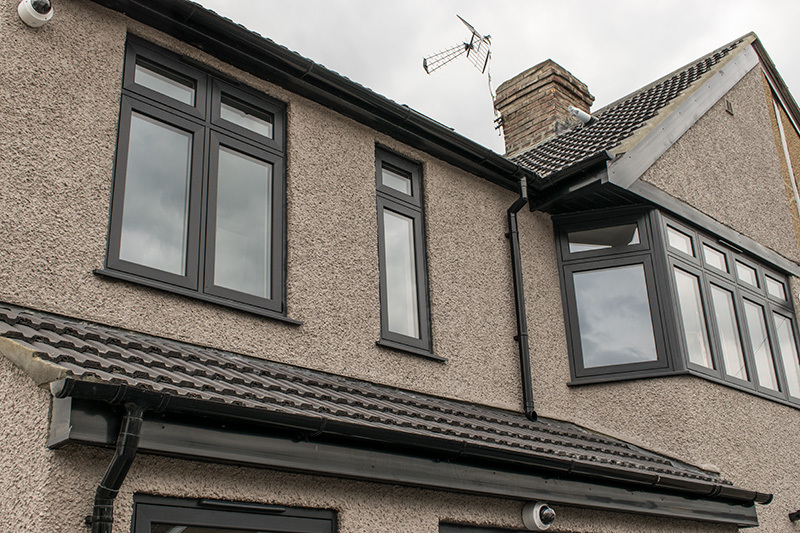 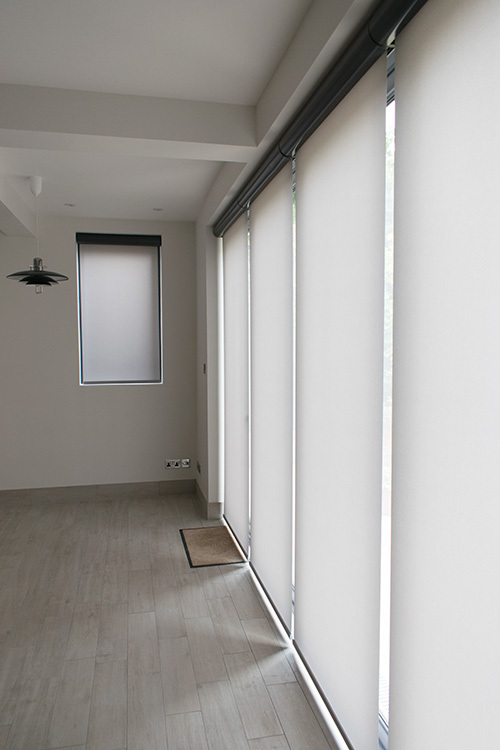 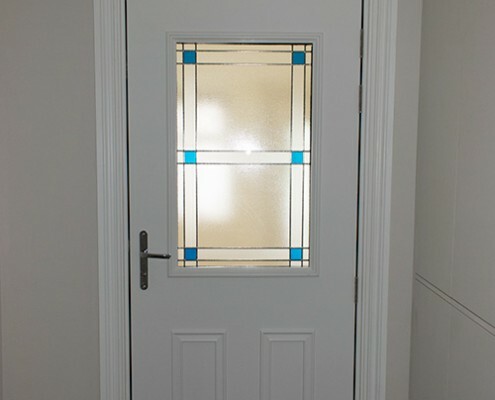 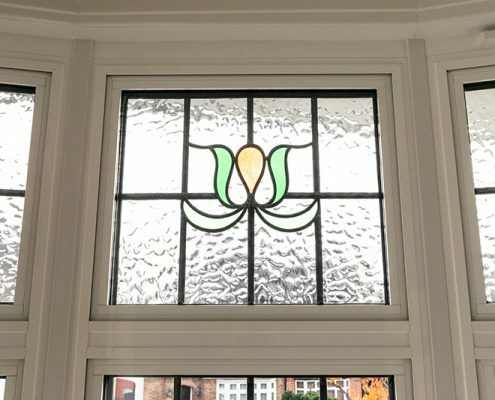 The client’s desired option was white UPVC frames with equal sight lines and square leaded glass. 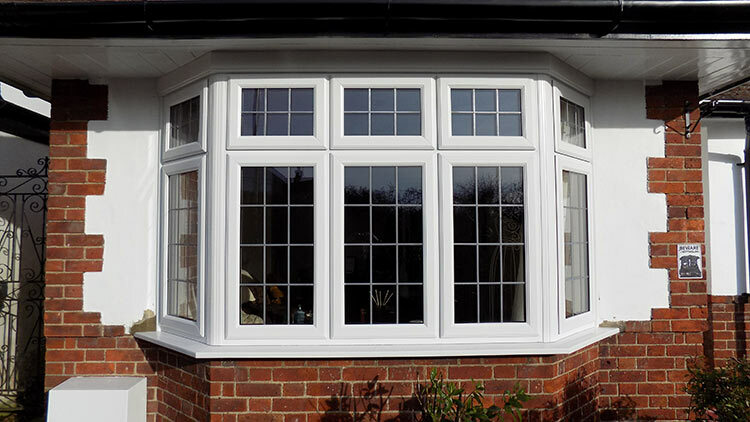 Our UPVC windows offer the very best in security. 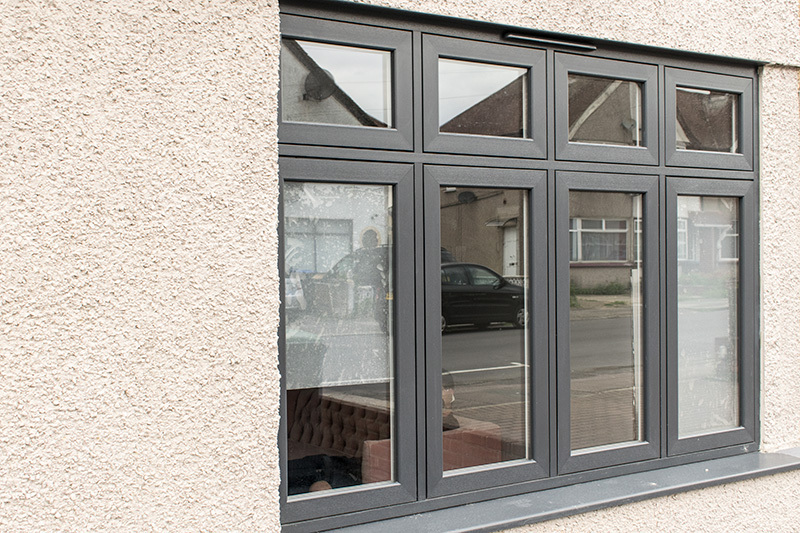 Every opening window comes with a ten multi-point locking system using arguably the country’s leading brand, Yale. 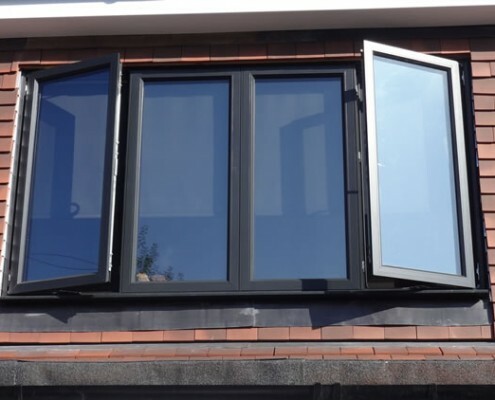 With the inclusion of A-rated argon filled glass and a “Q-lon” gasket system, the Duraflex profile offer more details and specifications than many other profiles that flood the current market. 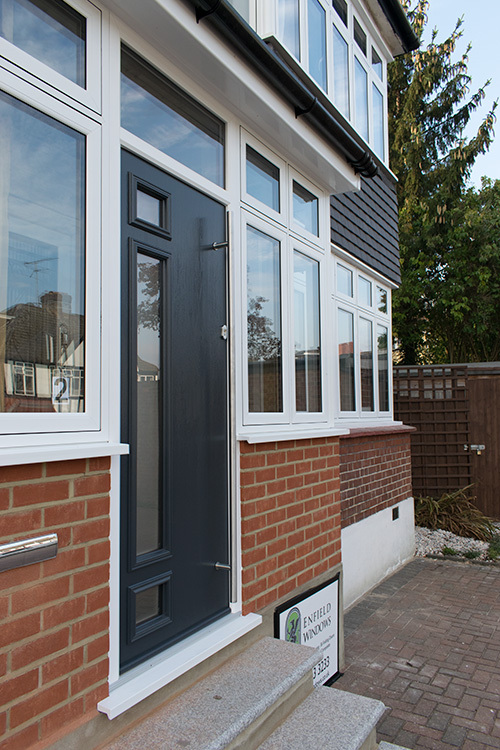 During the showroom visit the client viewed the myriad styles of composite front doors from the Solidoor range. 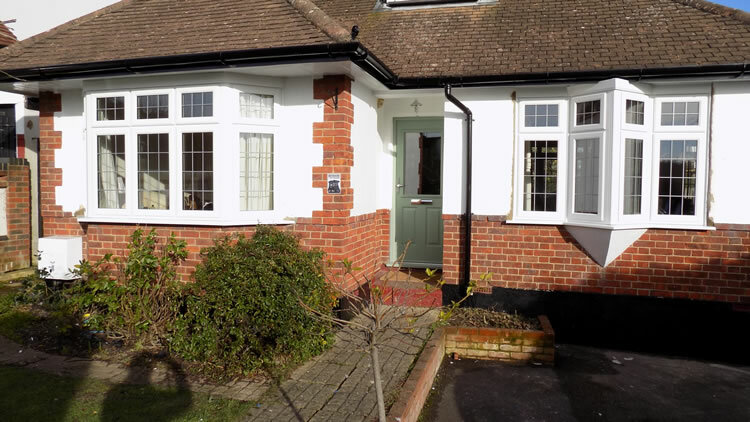 With over five display doors and a fully working door system the choice made was ‘Chartwell Green’ an increasing popular colour, frequently being used to inject character to many properties. 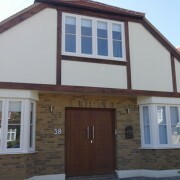 Once the order was placed a detailed survey was booked in by a member of the team and the frames and door were ordered. 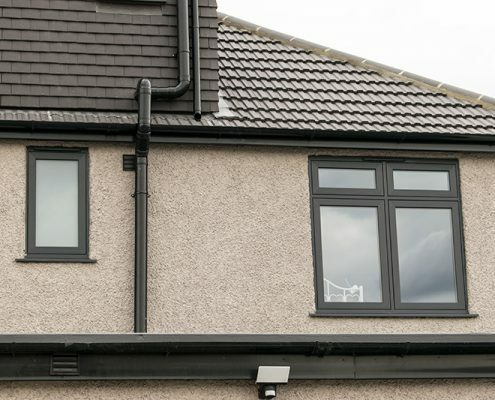 The installation was scheduled in for two days during which time two site visits were made by our Installations manager, one on each day, to ensure customer satisfaction and the installation team had everything they required. 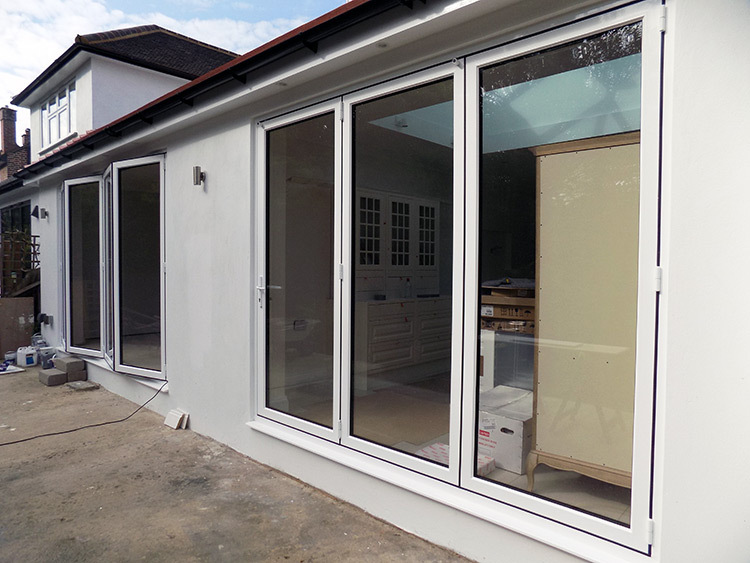 The job was ran smoothly and the client was more than happy with the work being carried out. 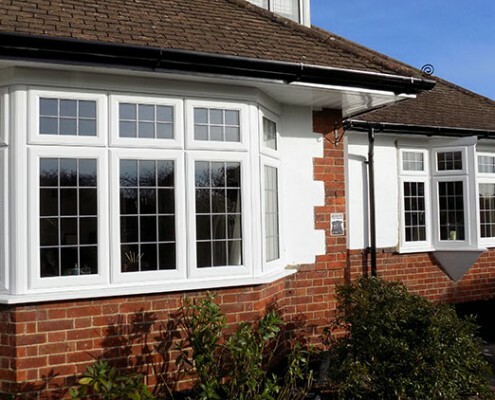 Each installation is overseen by a member of the installations department, ensuring our customers feel we are on hand, not just on point of sale but throughout the whole process. 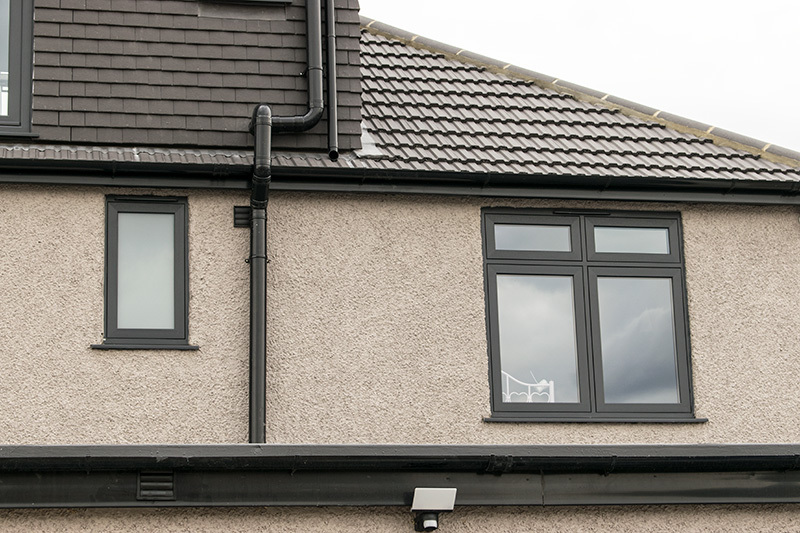 The designated installation team, comprising of Danny and Aaron have twenty-five years of experience between them in the industry. 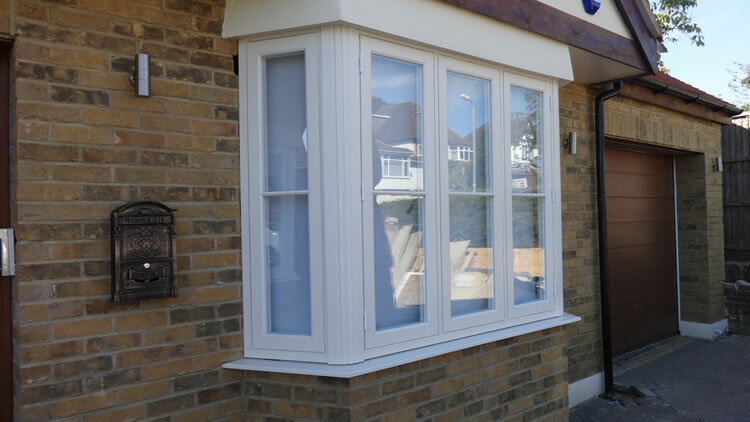 They took great pride, care and attention in every aspect of the installation and we believe the finished result reflects this. 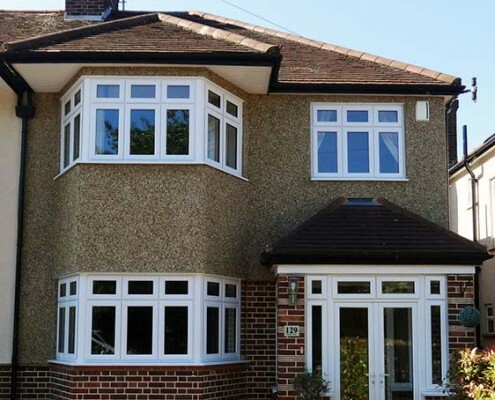 Enfield Windows were recently awarded the contract to replace the windows, bifold doors and a skylight to an address in Winchmore Hill, north London. 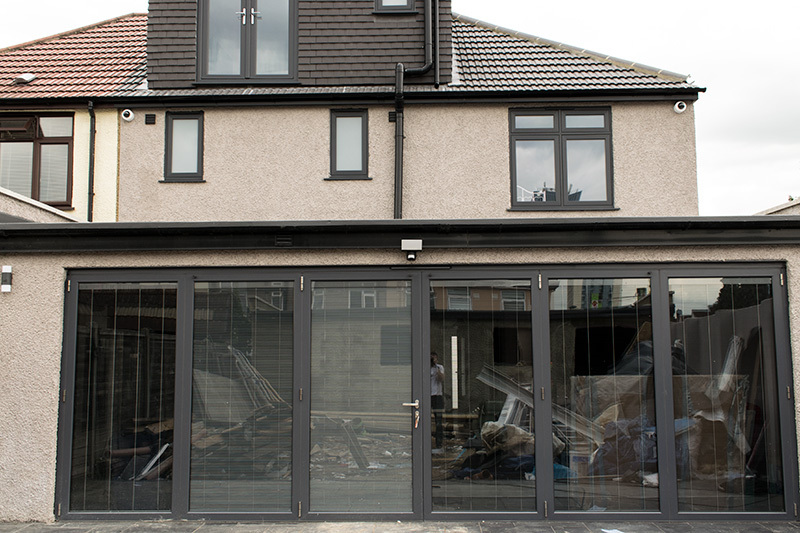 We had been busy liaising with the customer and the developer to make sure of their specific requirements for the project. 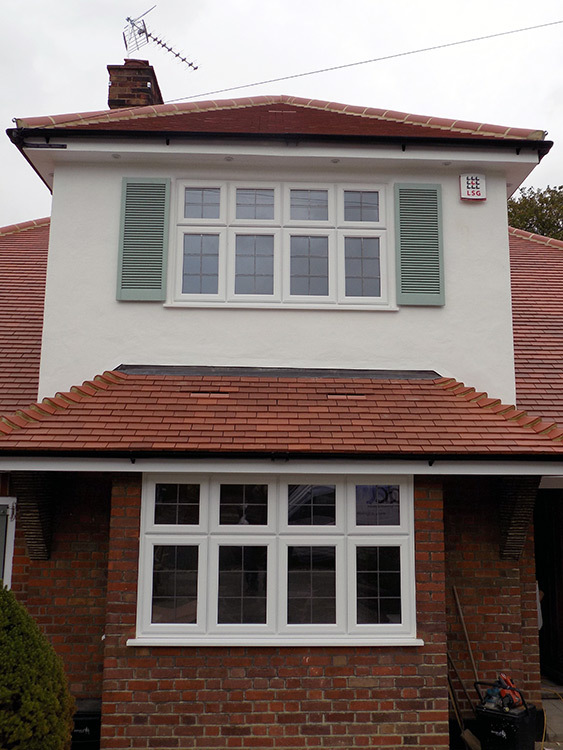 Enfield windows part of the project was planned over three stages, and each stage went perfectly as planned. 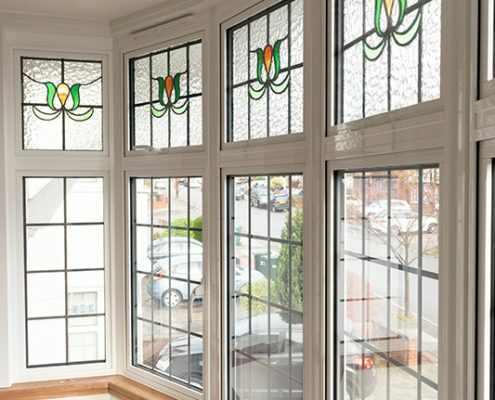 The first stage was the installation of twelve windows throughout the property replacing the old single glazed timber frames. 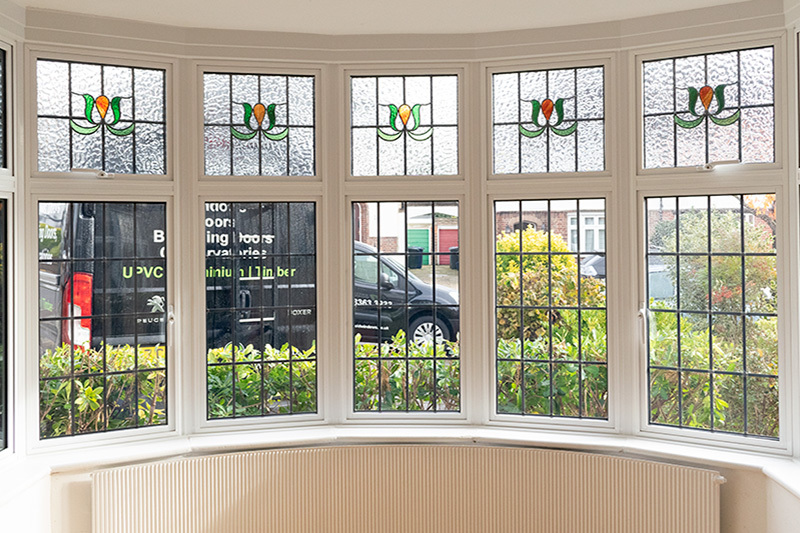 It was decided that we should use the Duraflex Upvc profile with leaded glass to match the existing windows. 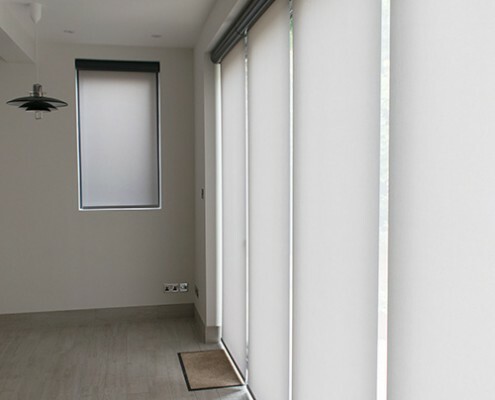 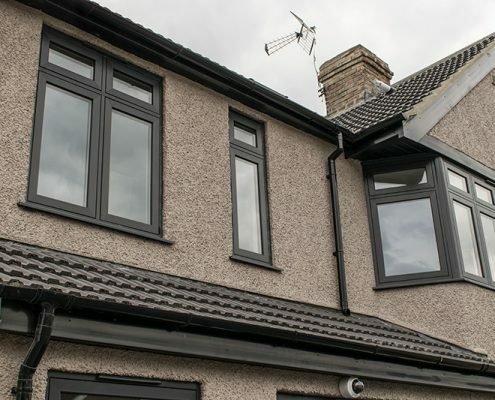 With the added touch of equal sight-line frames and safety features like child restrictor hinges in all bedrooms, this helped to transform the property’s look from old to new. 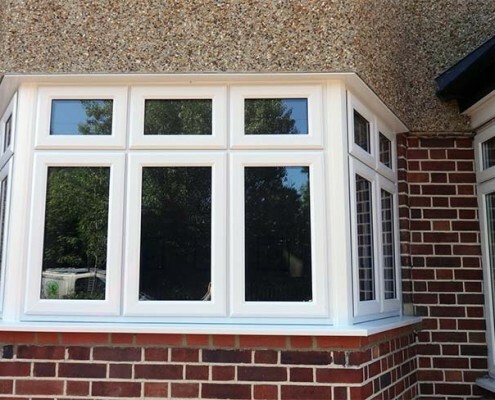 The replacement of the windows not only offers the customer maintenance-free frames but they also help the house perform better during summer and winter months due to the high performance of the ‘A rated’ argon glazing units and the five chambered windows. 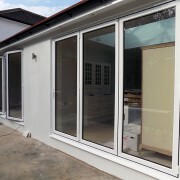 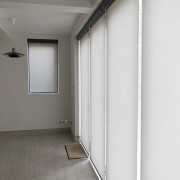 The second stage of the installation of two sets of brilliant white Origin Easi-fold doors, one of which was three part and the other four part. 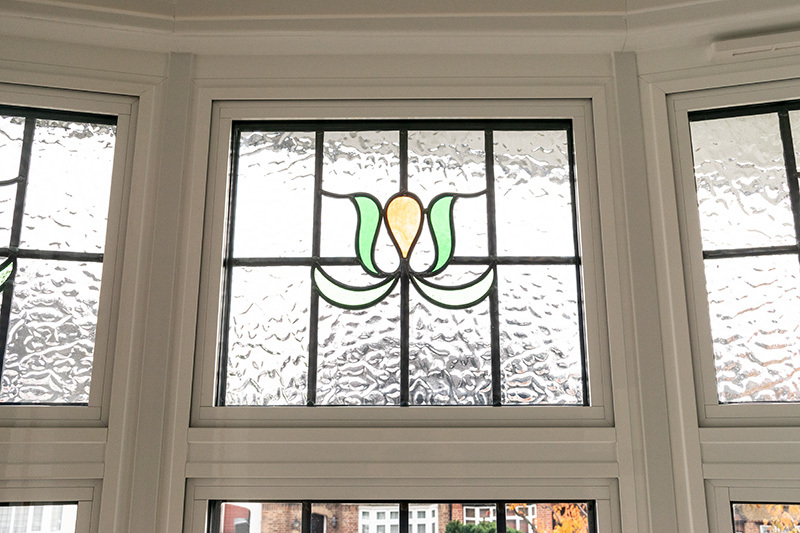 These looked onto the garden and form part of the new kitchen dinner. 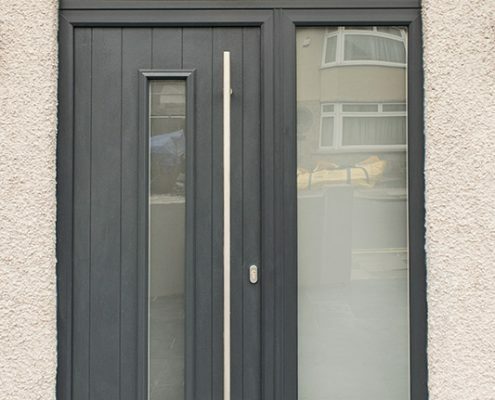 As you can see from the pictures, these beautiful doors certainly add the wow factor and finishing touch to what will be a modern family living space bringing the garden into the home. 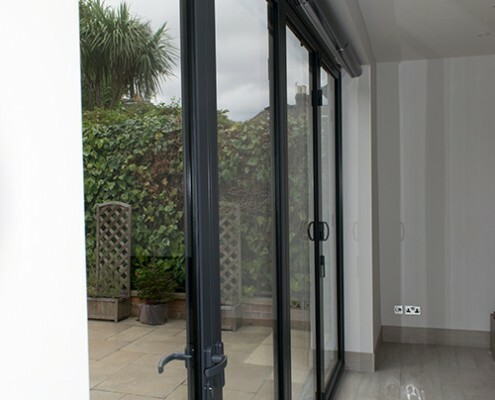 With the height standing at 2.4 meters high, 300mm above the standard height door they certainly give the feeling of open space to the rooms when fully opened. 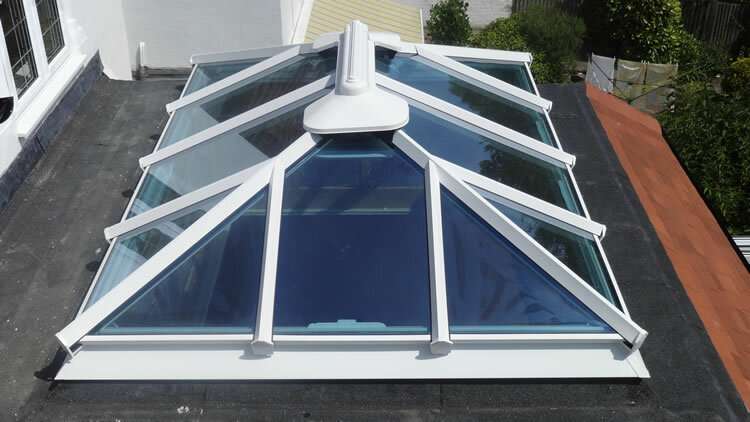 The final stage was the installation of a skylight. 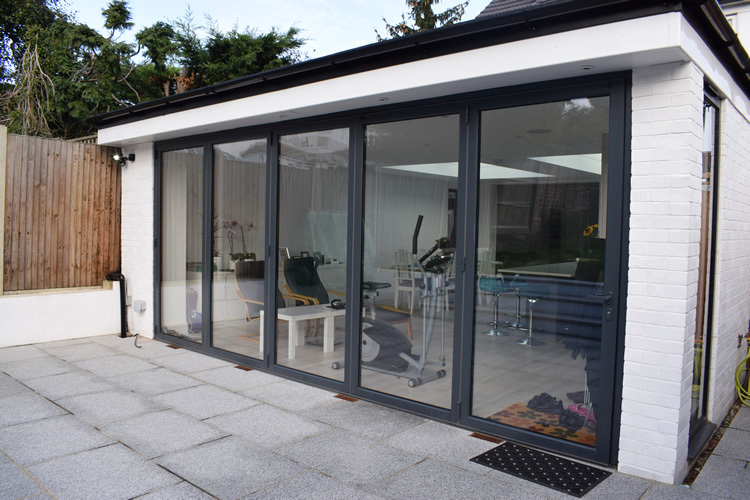 Above the dining room set of bifold doors is a 2m x 1.5m Ultraframe roof lantern skylight with toughened ‘active blue’ Pilkington glass. 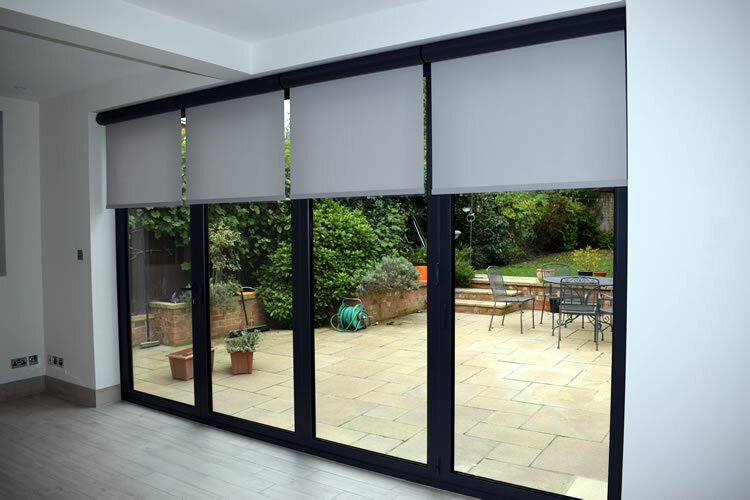 This addition not only floods the space with light but also adds great impact and character to a stunning dining area and is certainly a great addition to any room. 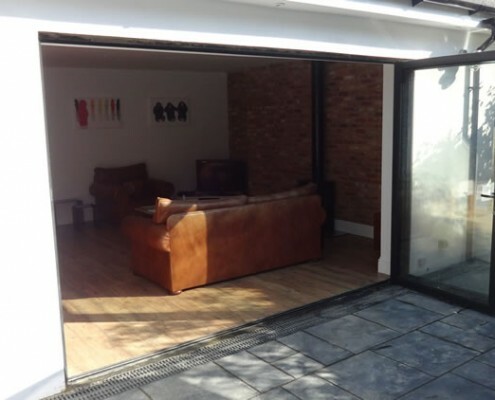 The project was managed throughout with no corners cut to provide the customer and developer with exactly what they had envisaged. 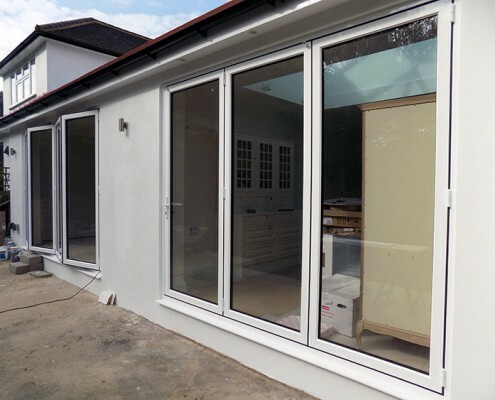 The total installation was carried out over six days with our installers carrying out each stage in an organised and professional manner. 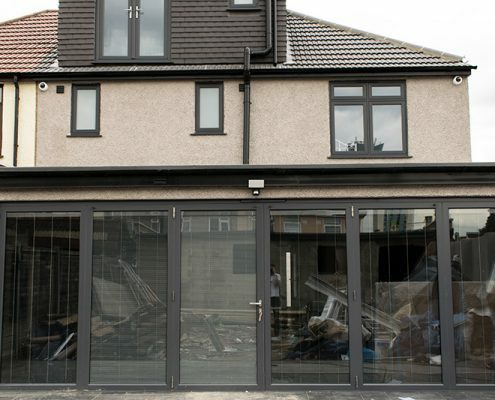 As you can see the final pictures speak for themselves. 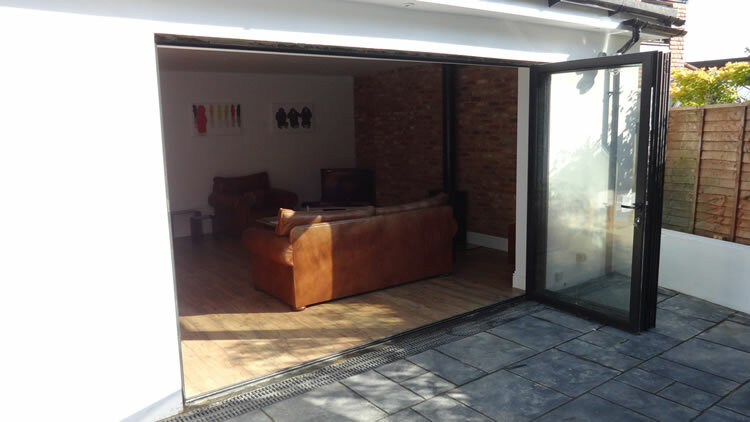 This large renovation project certainly added to the house becoming what it is now, a stunning contemporary modern family home with the added benefits of warmth and security. 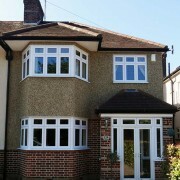 Double glazing installation in Enfield, north London. 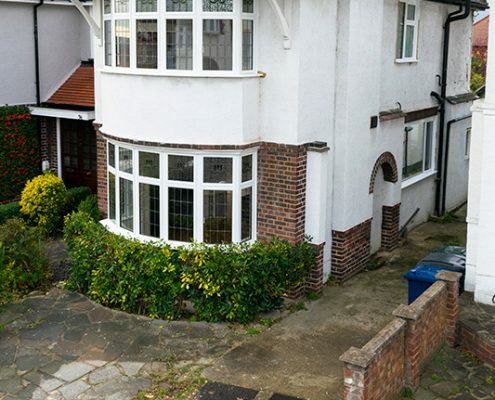 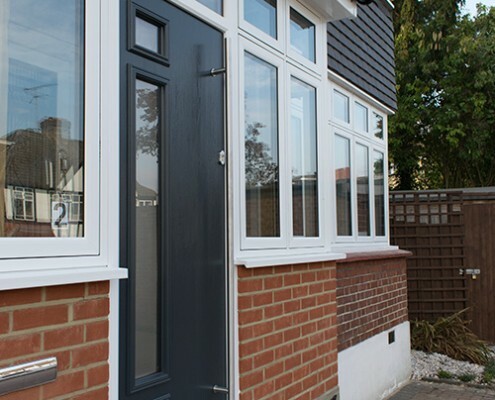 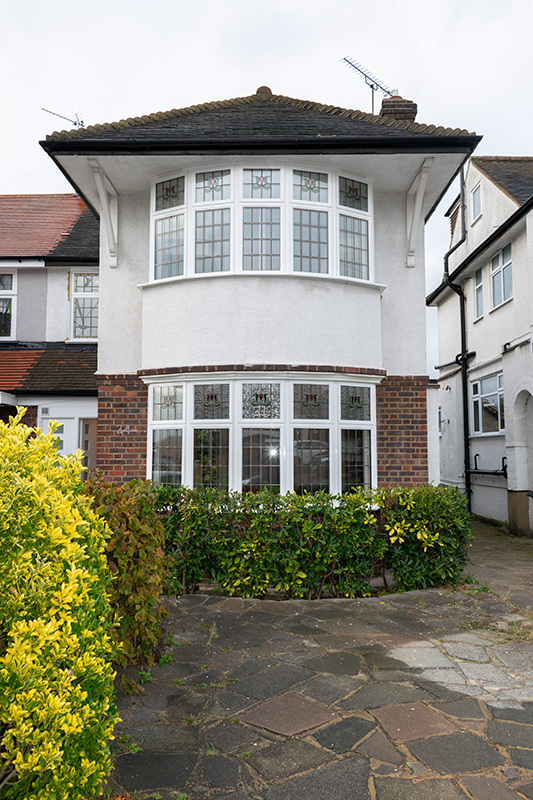 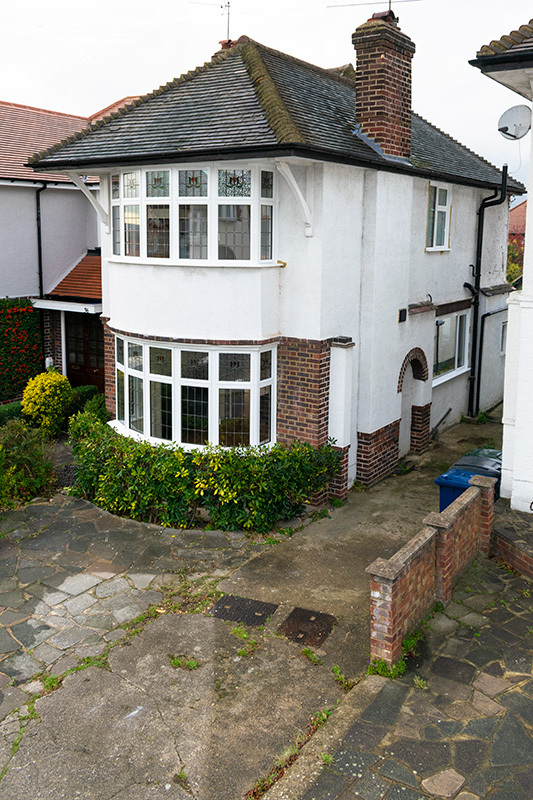 Enfield Windows recently installed a set of new UPVC double glazed casement windows in the above property in Enfield, north London. 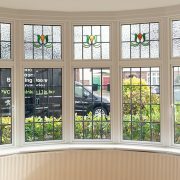 After a visit from our sales adviser, we were short listed with two other companies as potential candidates to replace the windows. 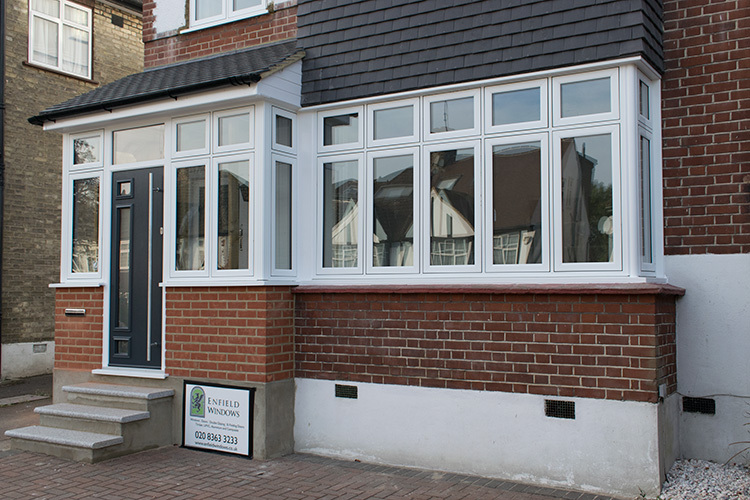 We are pleased to say that the customer chose Enfield Windows not only on the basis of price, but also on quality and service. 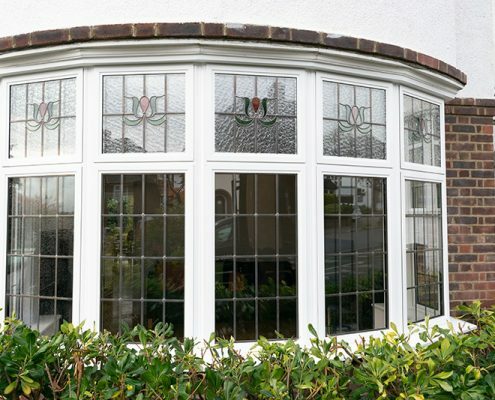 Our double glazed windows are attractive, highly secure and significantly reduce noise pollution in the home. 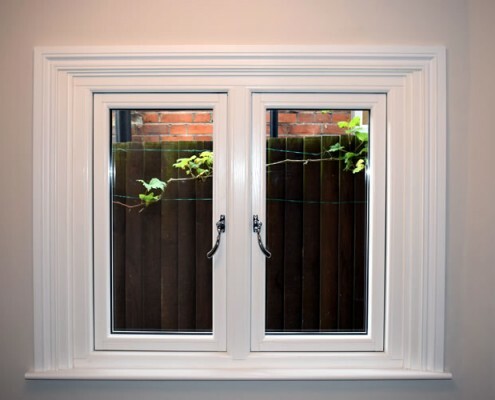 We offer two different profile styles for our double glazed windows and doors. 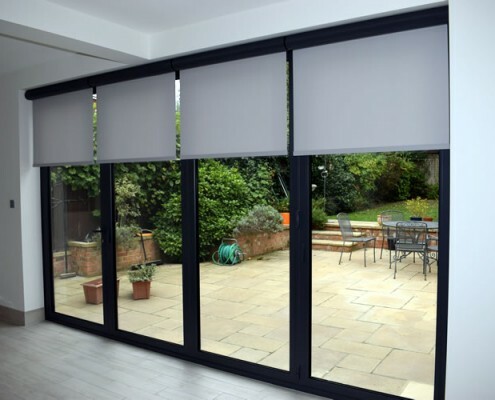 The Ovolo frame, which has a curved design or a chamfered frame that is bevelled. 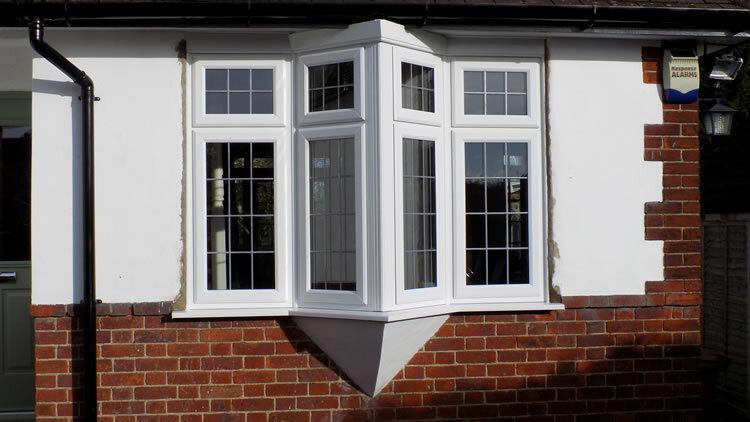 The customer had decided on the chamfered window frame. 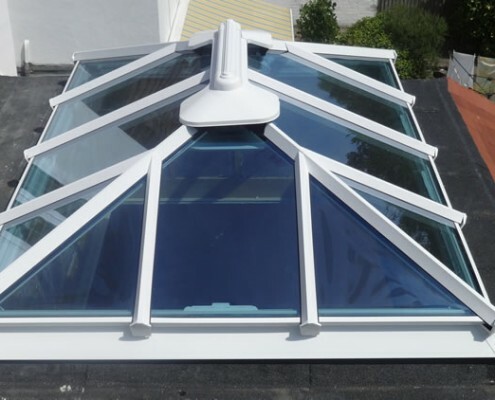 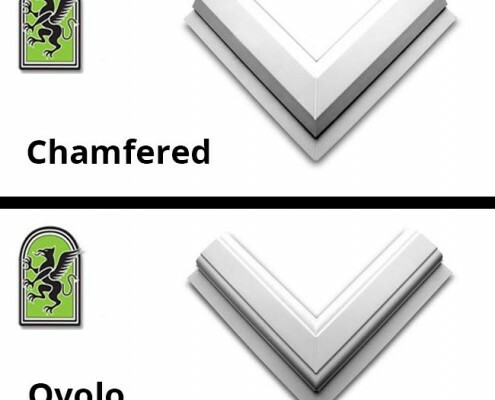 This is a sleek alternative to the rounded Ovolo profile commonly used. 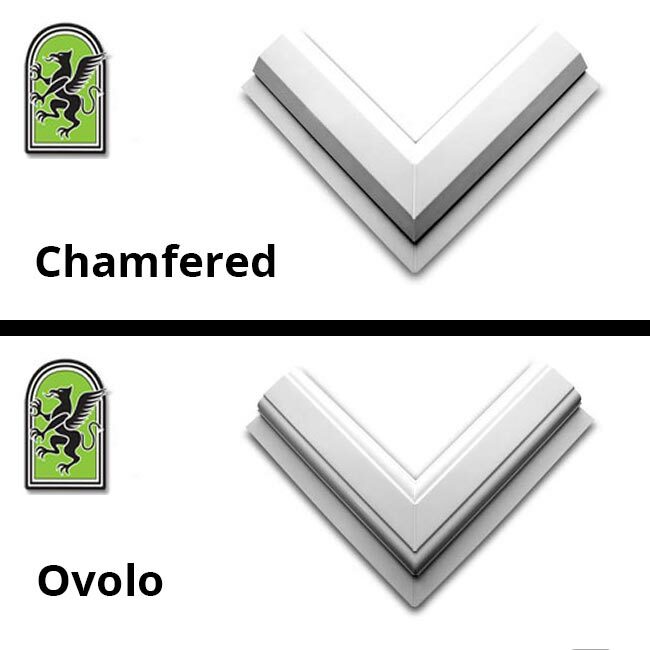 For a detailed comparison please click on the picture above. 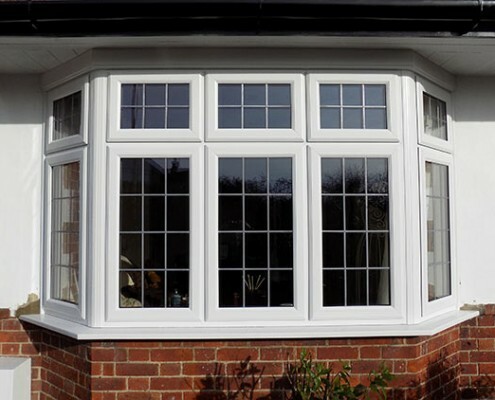 A survey was arranged and took place at an arranged date convenient to the customer. 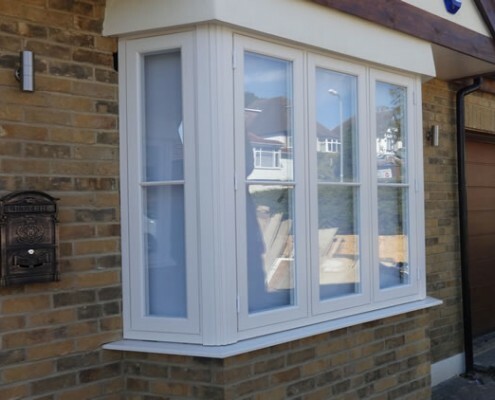 Once the survey was back in the office it was passed to our order processing team, where each detail and requirement was placed on order. 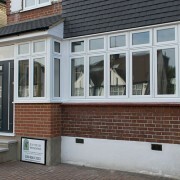 While production commenced, the installation was booked and agreed by both Enfield windows and the customer. 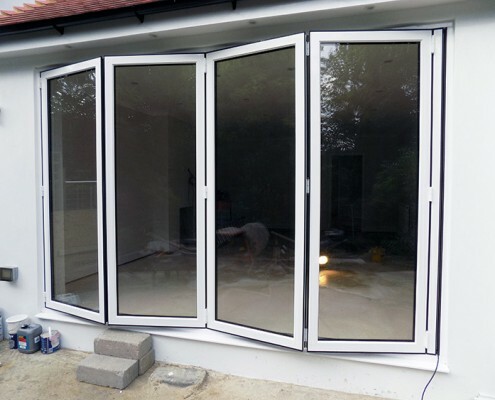 The windows arrived and the installation took place and was completed within the four days scheduled. 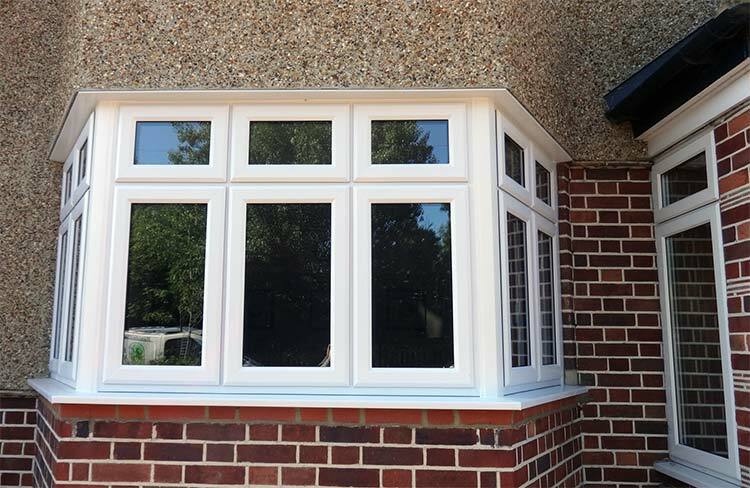 The end result once again shows the quality of workmanship that our windows and installers can add to help transform your home. 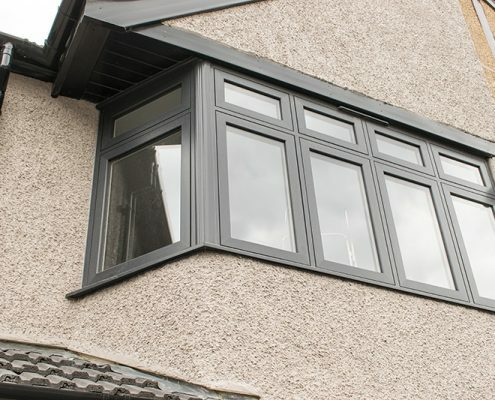 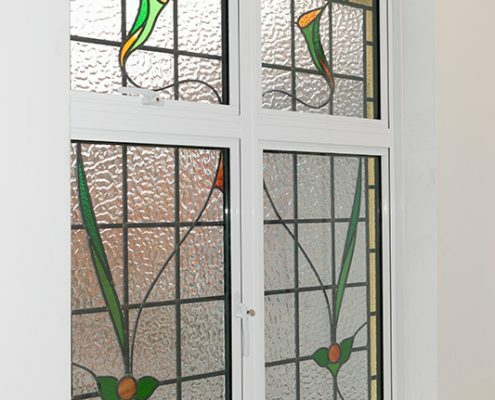 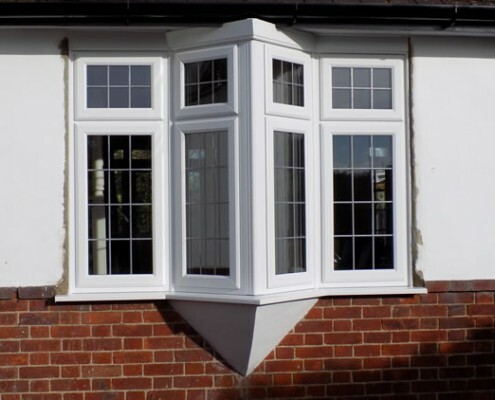 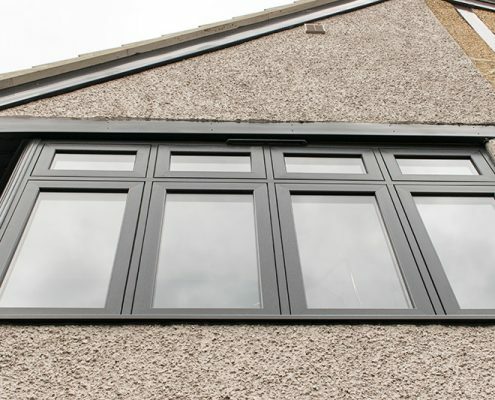 https://www.enfieldwindows.co.uk/wp-content/uploads/2014/08/upvc-casement-windows.jpg 750 562 admin https://www.enfieldwindows.co.uk/wp-content/uploads/2016/01/enfield-windows-main-logo1.jpg admin2014-08-28 15:58:452019-01-13 08:17:30Double glazing installation in Enfield, north London. 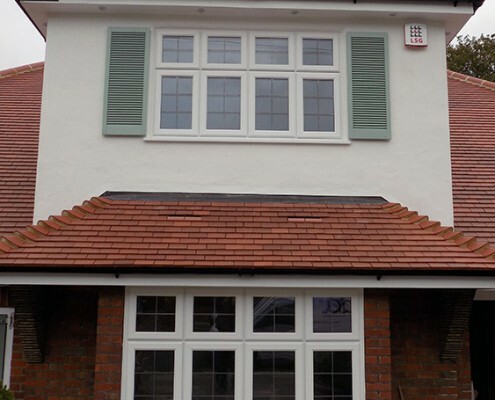 One our most recent projects was to supply and fit the Residence 9, Origin and Solidor products to a renovation project in Cuffley, Hertfordshire. 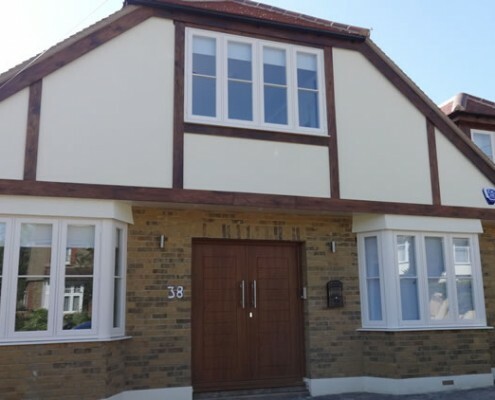 The client was in the process of completely refurbishing their new house. 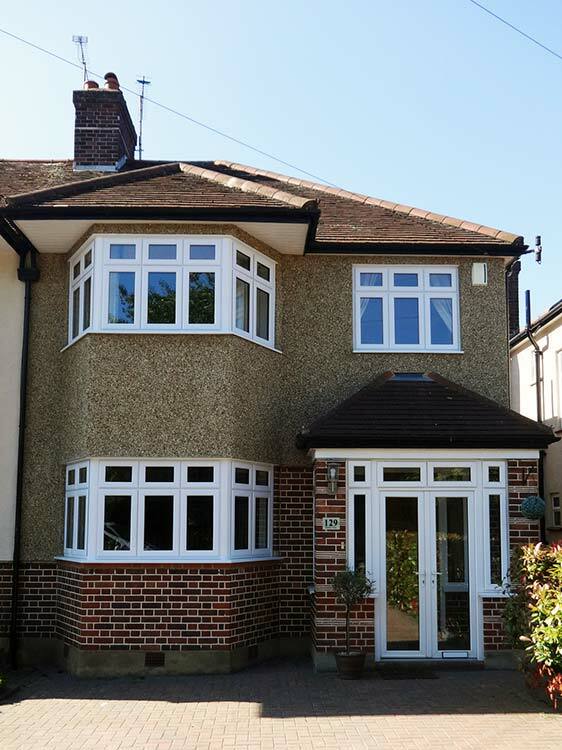 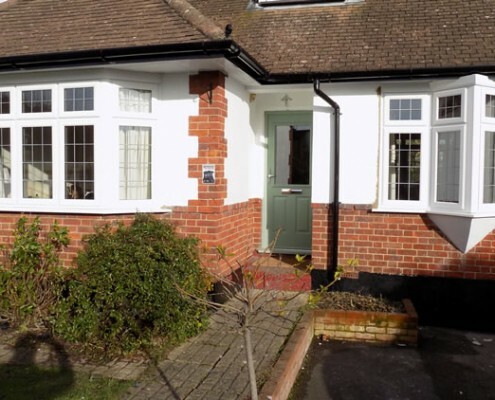 At the front of the property they wanted to achieve the look of timber crafted windows without the potential maintenance issues, such as regular repainting. 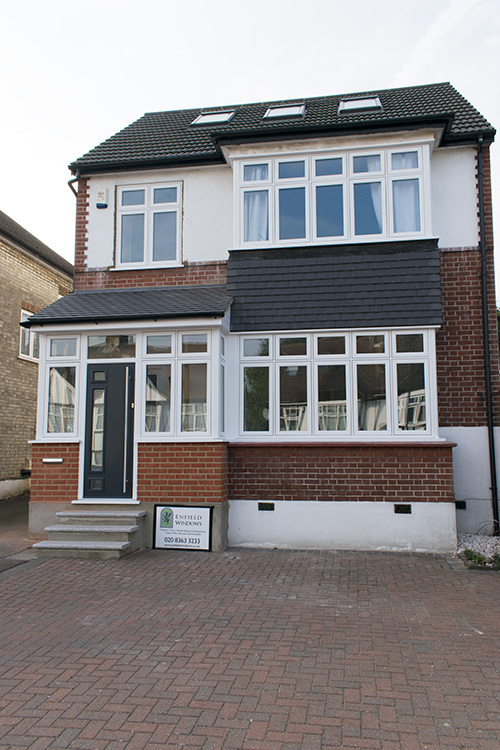 For the rear of the address, the aim was to achieve a modern contemporary look. 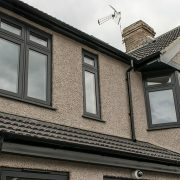 After discussing our product range, it was agreed that this was best suited using the Origin range. 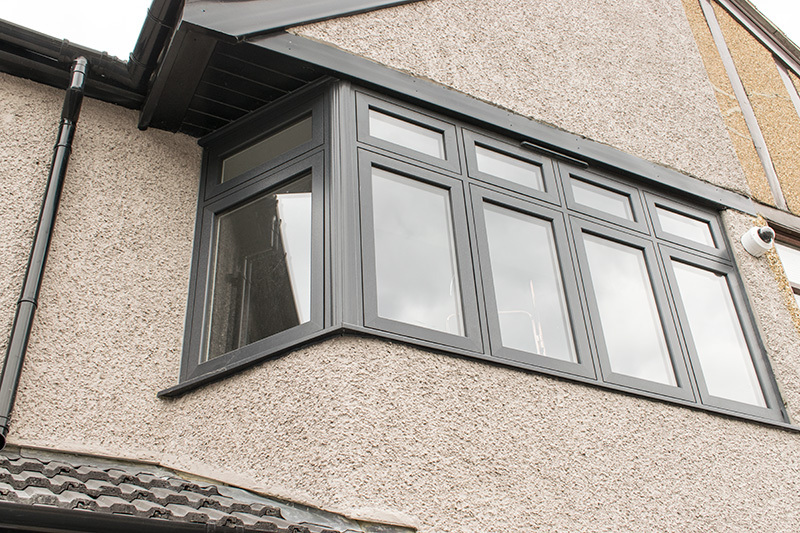 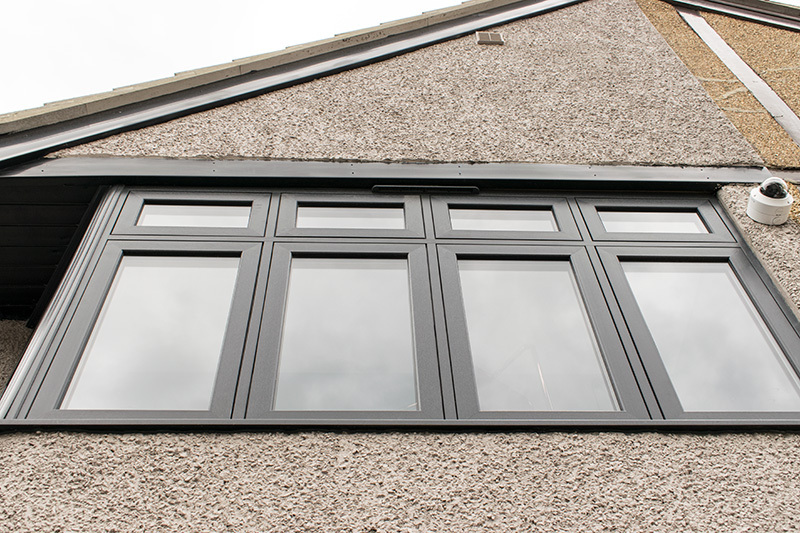 Residence 9 (R9) is a product that is rapidly becoming the new alternative to timber. 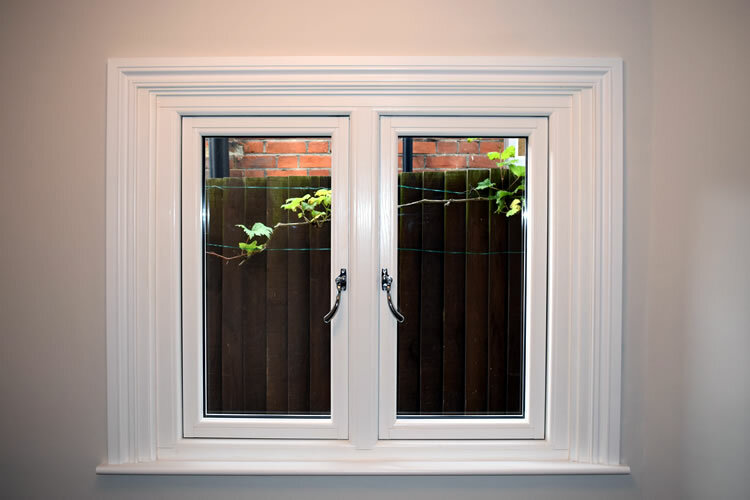 Every aspect of the design process of the R9 windows are based on replicating traditional timber profiles with 100mm thick frames which are 30mm thicker than standard UPVC windows. 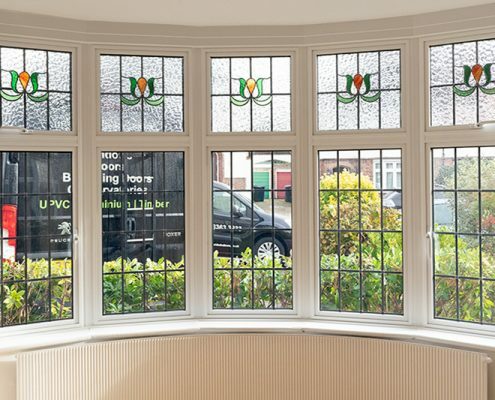 The flush casement sashes have a beautiful range of traditional and contemporary furniture to choose from. 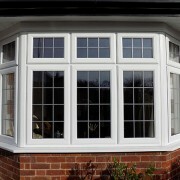 This really is the new product for consumers wanting all the benefits of UPVC while favouring the classic look of timber. 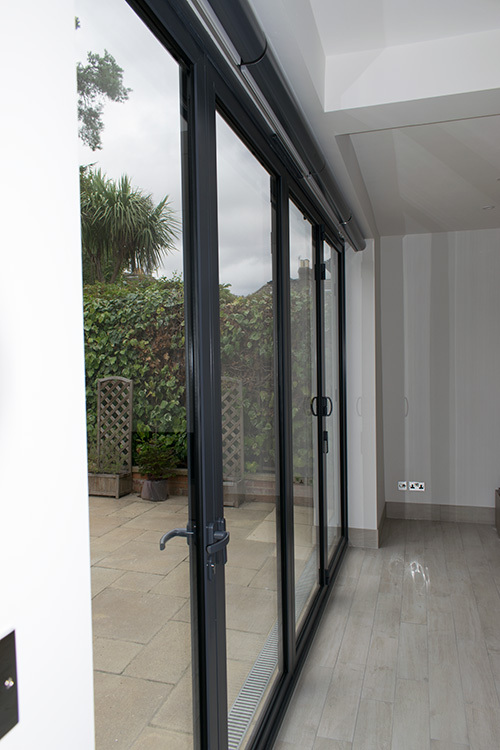 R9 products have a varied colour range that offer a modern or contemporary look and are even available with a dual colour option. 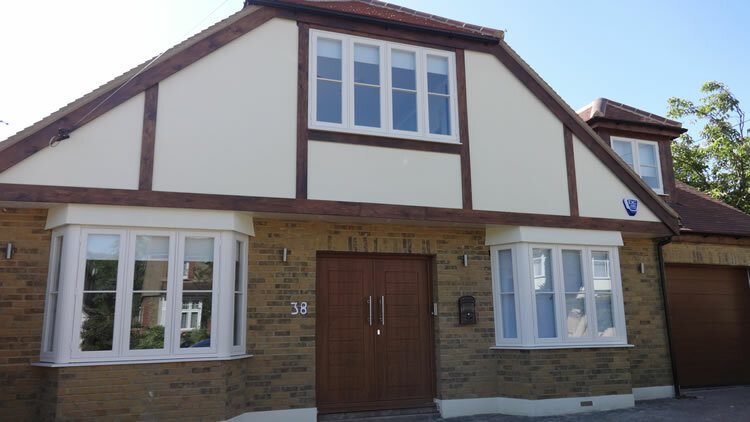 On this occasion the customer chose a two tone finish with a clotted cream exterior and white grain on the inside to match the theme of the property. 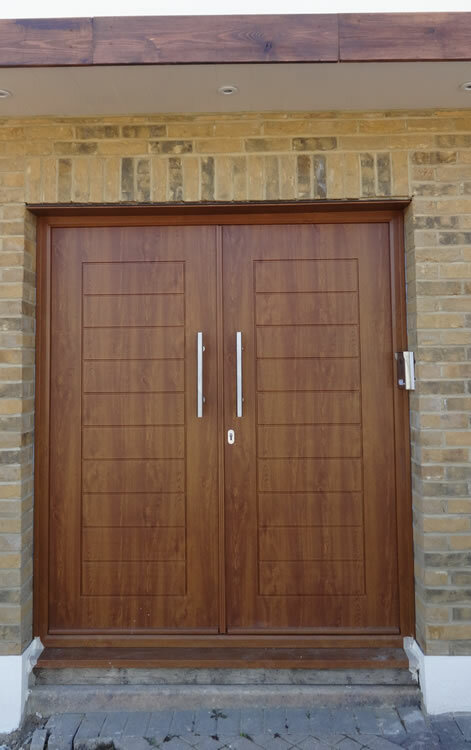 The front entrance door chosen was the “Palermo” in golden oak from the Italia collection. 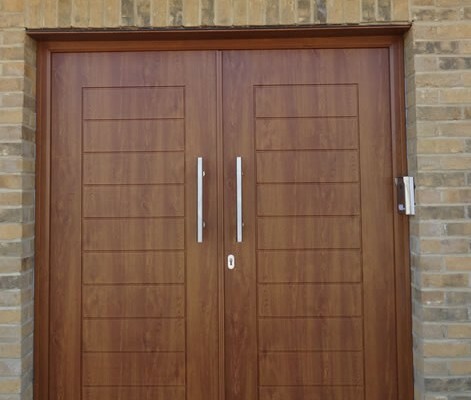 This solid double door with stainless steel handles gives the entrance real impact. 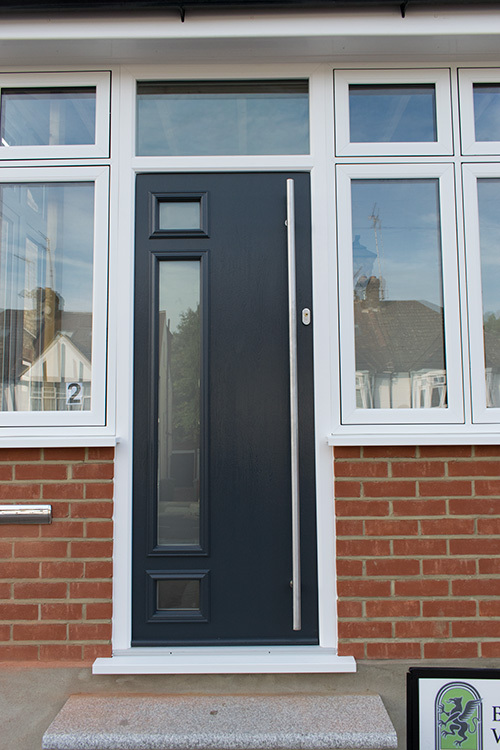 Solidor doors are built up internally with several multi layered timber cores, unlike their competitors that use a dense foam filled system. 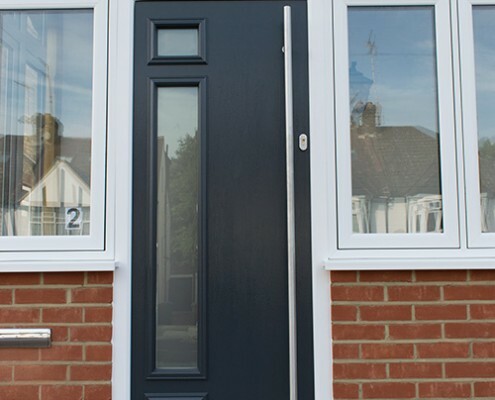 The weight when opening and closing a Solidor is instantly recognisable not to mention the benefits in security a solid door offers. 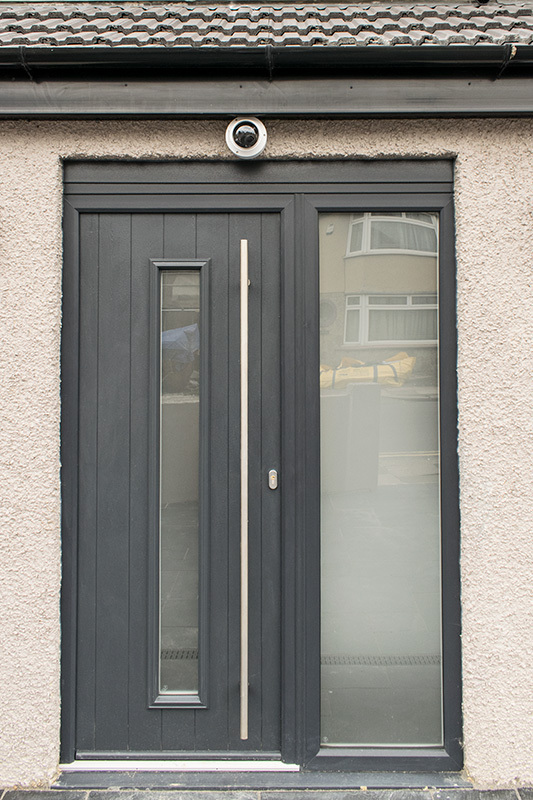 Each lock is accredited with the “Secured By Design” branding that reassures customers the doors are safe and secure at all times. 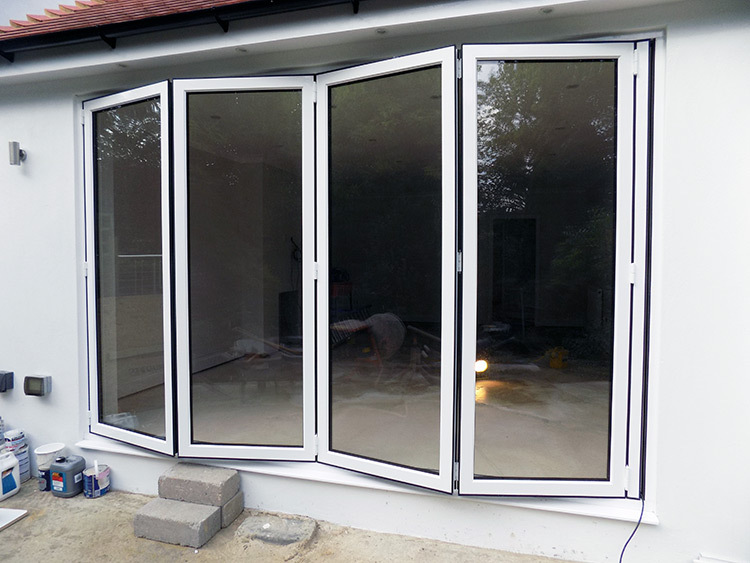 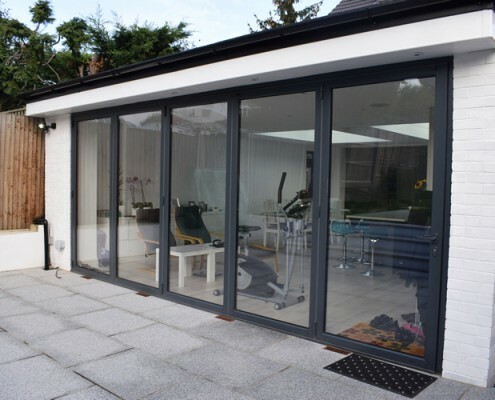 For the rear of the property, the Origin “Easi-fold” system was favoured for the new bi-fold doors. 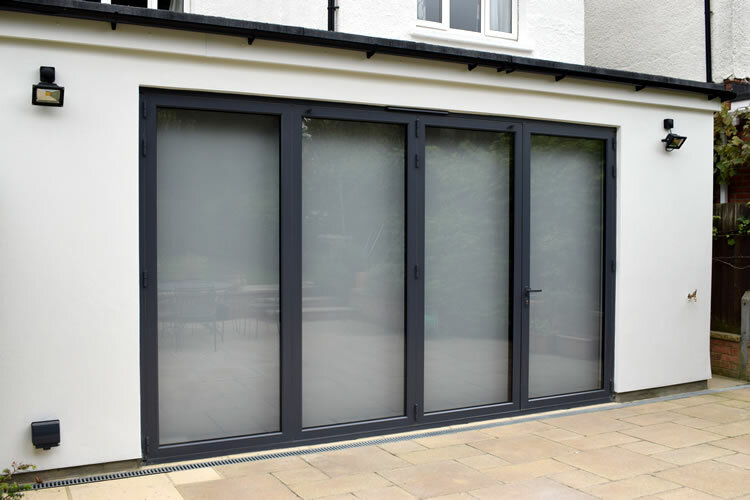 Origin is now a leading UK based manufacturer of bi-folding doors and is currently the only company in the market place to offer a 20-year warranty on each door set giving you complete confidence in the product and its design. 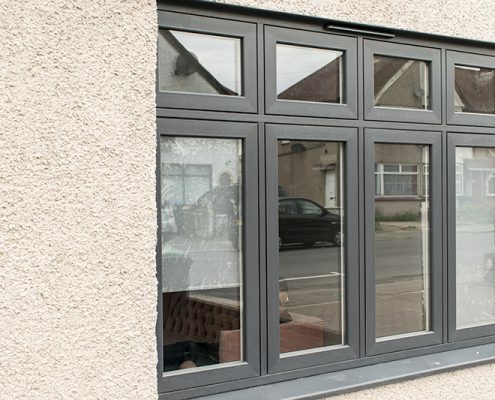 From its anti-finger pinch gaskets to its “Secured By Design” accreditation these are fast becoming the preferred set for installers and consumers alike. 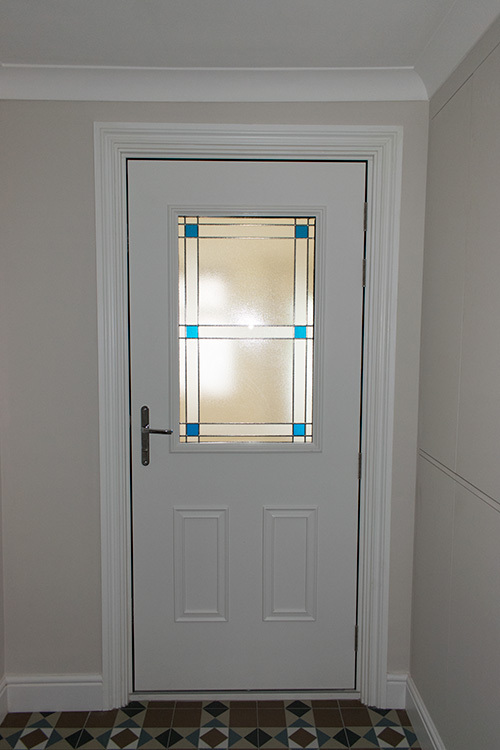 This particular three part configuration supplied and fitted allows a traffic door to be independently operated for day to day use without the need to fully fold back the doors. 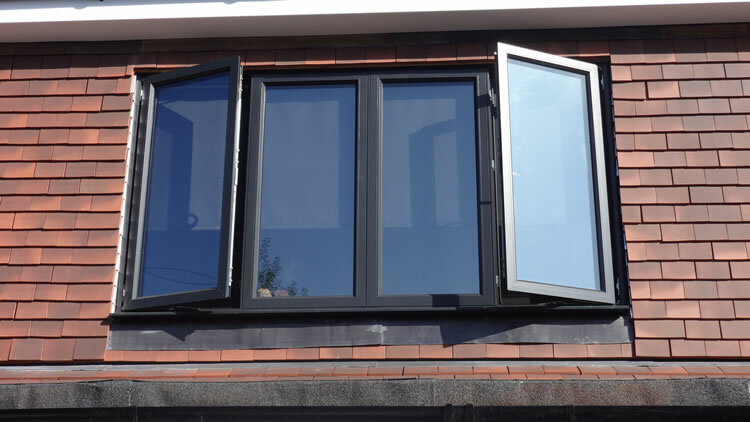 To tie in with the bi-folding doors an Origin window was installed in the bedroom above that instantly achieved a symmetrical look. 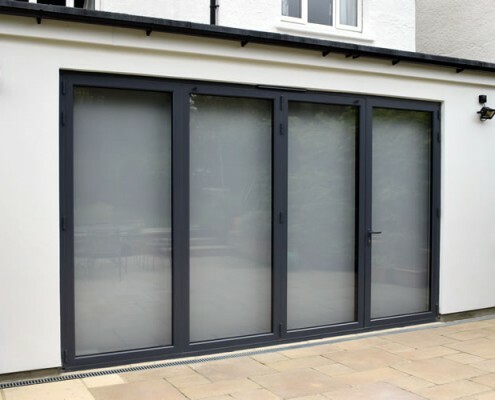 Origin is now adding aluminium windows to their product range which allows consumers to match the products when choosing bi-folding doors as generally a window is often nearby. 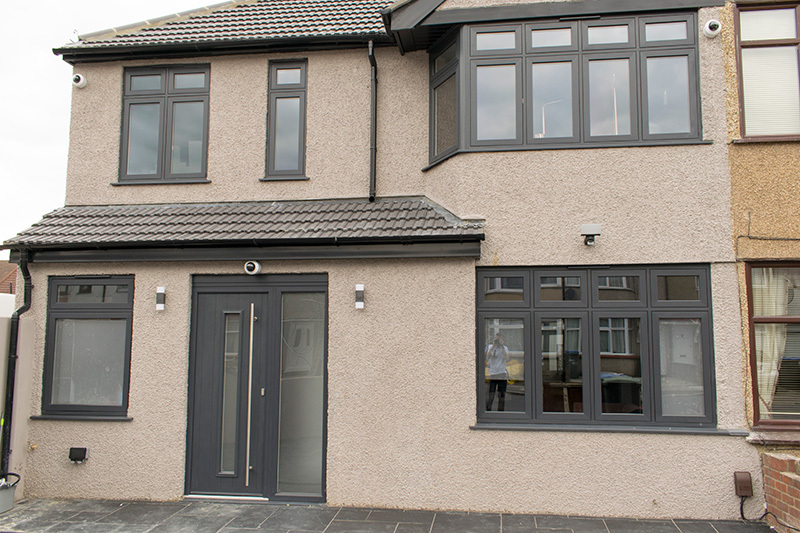 The end results again speak for themselves. 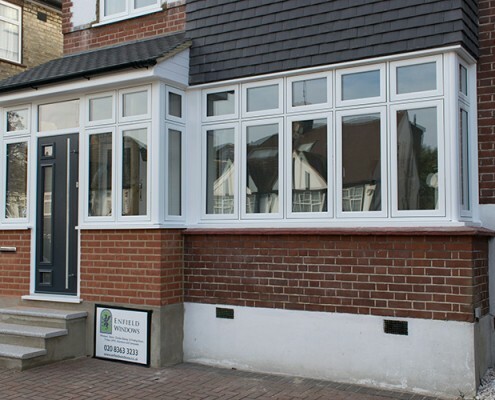 Every product supplied and installed by Enfield windows was of the highest quality whilst also being at an affordable price. 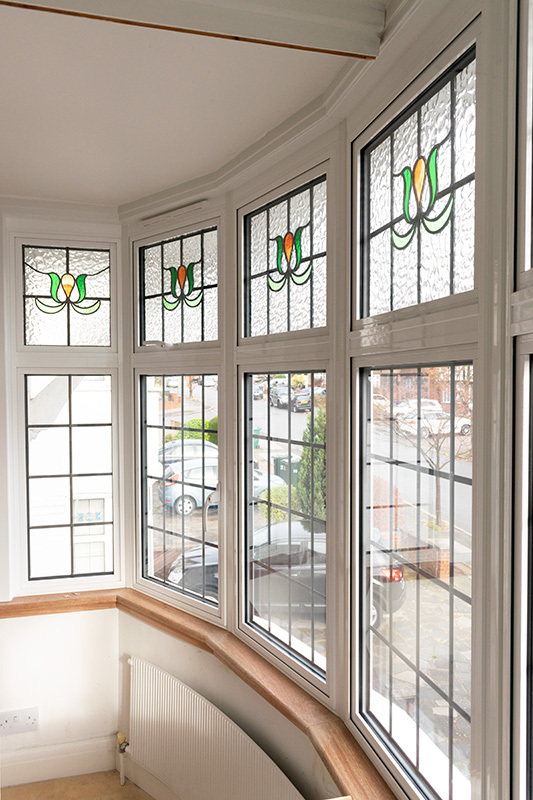 For more information regarding our products and the services, we offer please see our brochures page or visit our showroom. 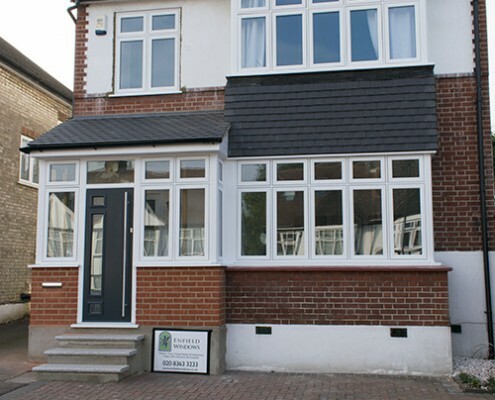 We will be happy to advise you on any of our product range.